I'll admit, my cravings for food can be a bit ridiculous at times and s'mores are no exception. I don't know what it is, but the faintest smell of campfire has me craving this summer staple. There's something so nostalgic about s'mores around a campfire, that even as the temperatures drop I find myself craving this classic fireside treat. Thankfully, I stumbled across this recipe and it's been a favorite ever since. Combine crackers with cereal in a large mixing bowl; set aside. Pour syrup over cereal mixture and stir to coat completely. Transfer to a greased 13 x 9-inch pan; press firmly to level. 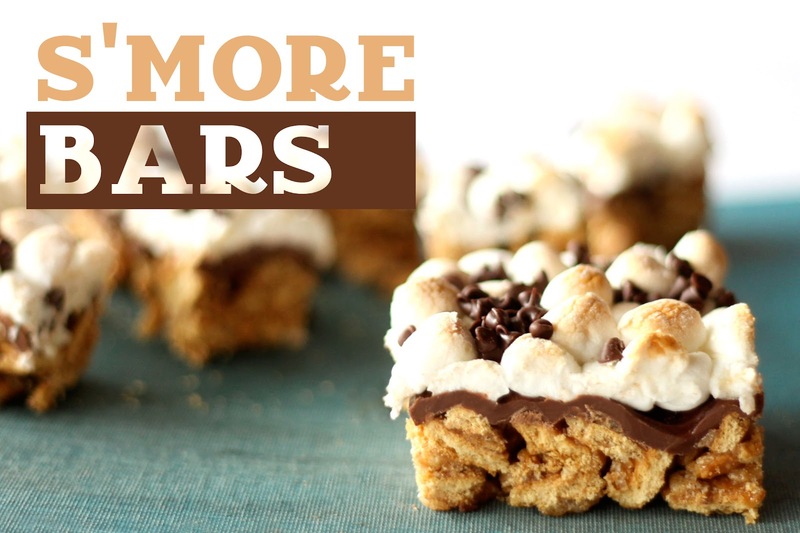 Place chocolate bars in a single layer over cereal mixture; sprinkle with marshmallows. Bake in a preheated 400°F oven for 5 to 8 minutes or until marshmallows are puffed and lightly browned. Remove from oven and top with mini chocolate chips. Refrigerate for 1 hour until firm; cut into squares. Store in tightly closed container for up to 2 days.